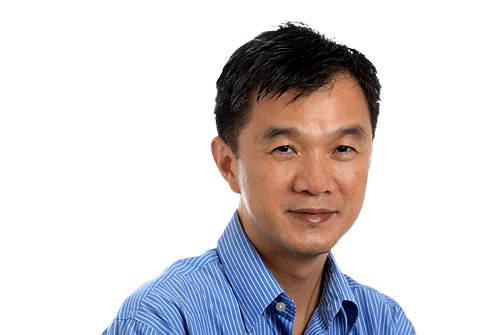 The Singapore Exchange (SGX) should be applauded for taking a giant stride in shedding more light on stocks which have been suspended from trading for more than a year. It has launched a half-yearly update on these companies and what they are doing to get back on track. The move involves only 20 delinquent stocks whose shareholders have, for the most part, taken the losses in their stride and moved on. For most investors, the more important issue is the clock ticking away on the 69 companies that have been given a six-month extension till Sept 1 to meet the new minimum trading price (MTP) requirement of 20 cents which took effect two months ago. Then there is also the issue of the 41 companies that have been placed on one of the SGX's watchlists since March because their share price had languished below the MTP on a "volume- weighted average" basis in the previous six months. These companies have three years to make good this breach or face the pain of delisting. They join another 19 companies that have been placed on a separate watchlist for failing to meet the profitability and market value requirements as well as 16 firms which failed all three tests - MTP, profitability and market value. This means that altogether, there are now 76 companies - or 12.5 per cent of all firms listed on the SGX mainboard - with a question mark over their listing status. That such a big proportion of listed firms have been tagged in this manner mars Singapore's otherwise excellent reputation as one of the world's top financial centres, implying as it does that we have much more than our fair share of problematic listed companies, as compared with other major bourses. Worse, the SGX's watchlist may mushroom to as many as 145 firms, or 24 per cent of all mainboard- listed firms, if efforts by the 69 companies that have been given a reprieve to make the MTP requirements come to naught. It is a headache which we can ill afford in the face of declining stock turnover and dour investor sentiment. Sure, some will argue that while firms trading below the MTP make up an unacceptably large proportion of mainboard-listed companies, they accounted for only 1.1 per cent of the market capitalisation and 1.5 per cent of market turnover, as of March. But the delisting of even a fraction of the affected listed firms - improbable though it may seem right now - just because they fail to make the MTP requirement lends credence to the "hollowing out" worries which some have been expressing about the SGX of late. This will serve to dampen investor sentiment still further. Putting companies on the watchlist is supposed to be a wake-up call for management to do something to revive their company's declining fortunes and consider options on how to improve investor relations in order to lift share price performance. But placing a company on the watchlist is akin to giving it the kiss of death, even though the records show that about one-third of watchlist firms do make a successful exit. As an example, the Central Provident Fund (CPF) does not allow its members to purchase stocks on the SGX's watchlist as it is worried that they could "potentially be delisted". Before examining what measures can be taken to rectify the problems triggered by the MTP requirement, let's consider why this regulation was imposed in the first place. In theory, whether an investor has one share in a $100 stock or 100 shares in a $1 stock, he should still have the same degree of ownership in a company, as the price of a stock is determined by the number of shares that have been issued. But there is a perception that the closer a stock price is to zero, the less valuable the stock is. So one positive aspect of MTP is to move the share price away from the stigma of being near zero in value, without changing the company's financials or the relative shareholdings of the shareholders. There is also a worry that lower- priced stocks may be more susceptible to market misconduct and abuses. This is because their share prices are more volatile and a small absolute change in price can potentially lead to a high percentage gain or loss. To adhere to the MTP requirement, most companies do a consolidation of their shares. But because the exercises are taking place in bearish market conditions, this has led to a fear among retail investors that the consolidated share price would fall. This fear then turns into a self-fulfilling prophecy as investors rush to sell their penny stocks before or after consolidation exercises. In some cases, this has resulted in companies trading below the MTP, despite consolidating their shares, thus precipitating the need to undertake another round of share consolidation. This reduces their already small free float and further sours investors' appetite for their shares - leading to yet another sharp sell-down. It leads to another problem: A stock may face having so few shares left that it runs the risk of being cornered. This was a concern flagged by the SGX when it rejected China Taisan's move to do a second round of consolidation just three months after it did its first one because its share price had fallen below the 20-cent MTP. Prior to the implementation of the MTP, there was already another initiative to improve the quality of listed firms, dating back to 2008, which uses profitability and market value as the criteria for assessment. A mainboard-listed company is put on the SGX watchlist if it records pretax losses for three consecutive financial years and has an average daily market capitalisation of less than $40 million over the previous 120 trading days. In order to get off the watchlist, it has to move back into the black or lift its market capitalisation above $40 million within two years. This watchlist is different from the one listed firms are placed on for failing to meet the MTP requirement, a breach that they are given three years to rectify. The suggestion is to merge the assessment criteria from the two watchlists and put a listed firm on the watchlist only if it fails to meet at least two of the three requirements - MTP, profitability and market value. Now, if this suggestion is taken up, it may drastically reduce the number of companies being put on the watchlist because they fail to make the MTP requirement. But even if such a change is being contemplated, it will take time as a public consultation must be launched to assess the merits of the proposal. So, unless the SGX kick- starts the discussion soon, it may have to consider a further extension of the reprieve which it gave the 69 firms. Any discussion launched by the SGX will also have to tackle the question of what to do about stocks which keep failing to meet the MTP requirement even though they may have passed the tests on profitability and market value. One option is to get these companies to transfer to the Catalist listing platform. But that would require them to hire a sponsor to hold their hands. There is also the cost of engaging the sponsor to consider. Many companies may also be unwilling to downgrade to Catalist if they have solid businesses and their only failing is in getting their share price above 20 cents. And how about the end game for companies which are forced to delist, a subject that also crops up when the SGX tackles the subject of suspended stocks? The best that minority shareholders can hope for is an exit offer. But the exit price can be a thorny issue. There have been instances of investors complaining that big shareholders try to buy them out at prices that are way below the company's reported net asset value. Another suggestion is to establish a "pink sheet" or "over the counter" market to trade the shares of these delisted firms. That would take us back to an earlier era when remisiers would literally have to call up one another to do a stock transaction - instead of using a centralised trading system as they do now to match their orders. Would that ever materialise here? Difficult to say. In the United States, there is a thriving "pink sheet" market because there are gutsy businessmen and brokers willing to make the difference and ensure that it works. But in facing up to the challenges thrown up by MTP, we should look for new and creative ways to solve the teething problems that have surfaced. Only then can our stock market thrive.